They caught Number One in Malaysia. Number Two in England. And Number Three in Kenya. They caught me in New York--but I escaped. I am Number Six. They want to finish what they started. 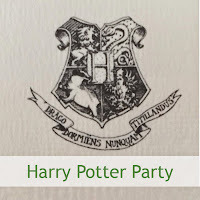 In A Nutshell: Awesome, awesome, awesome! 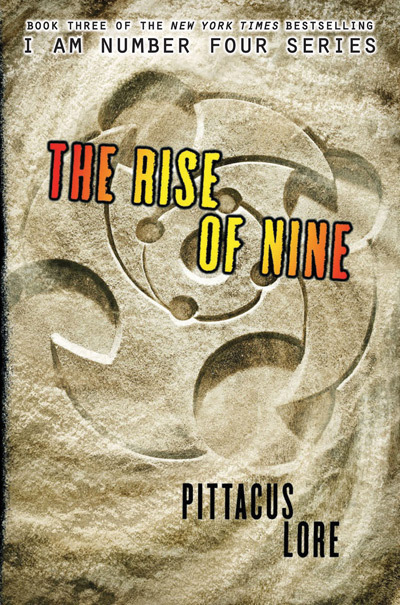 The Rise of Nine was truly awesome. Four and Six are back, each accompanied by the new Garde members they tracked down in The Power of Six. There is no rest for the wicked as Six, Marina, Ella and Crayton travel to India in search of Number Eight and encounter rebel fighters in India. Meanwhile, Four and Nine travel across the US, hiding from new enemies and trying to find a way to contact the rest of the Garde. 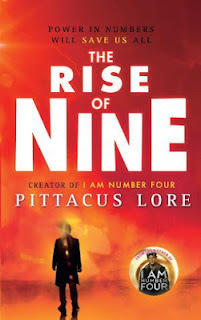 In the third adrenaline-filled instalment of the Lorien Legacies, the Garde are frustrated to discover that the US Government has stupidly joined forces with the Mogadorians. As lives are lost and new legacies are discovered, the Lorien Garde finally starts to come together, just in time to face the head of the Mogadorians, Setrakus Ra. New characters, new gadgets, new legacies, new challenges – this series just gets better and better. Book four, rumoured to be titled The Return of Lorien and to be released in August 2013, cannot come soon enough. If it is anything like The Rise of Nine, it will be mind-blowing!